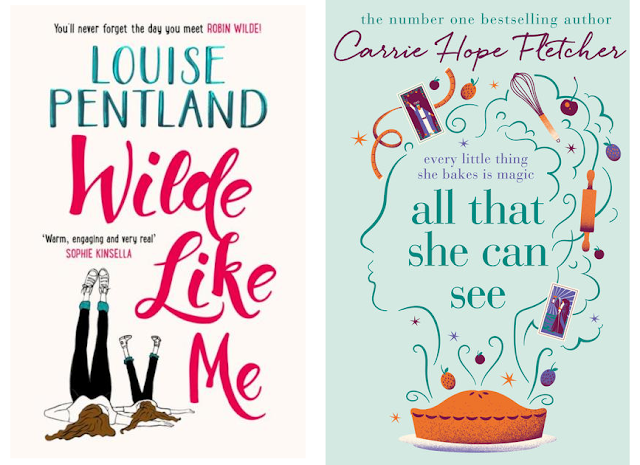 Two YouTube vloggers I follow, Louise Pentland and Carrie Hope Fletcher, are releasing novels this summer. While I most likely won't read these books since they're in a genre I don't typically enjoy, I've been interested in the behind-the-scenes glimpses of their paths to publication that Louise's and Carrie's YouTube videos offer. In particular, it was refreshing to hear Louise open up about the advantages of getting a book published when you have an established audience in her recent video, "I Got a Fast Tracked Book Deal??". If a literary agent is intrigued by a writer's query letter, they'll request part or all of the manuscript to read. If they like what they've read and think there's a market for the book, they'll offer to represent the writer. After that, the agent will submit the book to editors at publishing houses, and hopefully reach a publishing deal. The agent will earn a percentage of what the publishing house pays the writer, so it's in the agent's best interest to get the best deal possible for their client. All of this brings me to what I think is the most crucial and overlooked difference between how YouTubers write novels and how unknown writers do: unknown writers have to finish writing their books BEFORE submitting them for publication. It's hard to persevere with a writing project when you have no idea if it'll ever actually be published, and YouTubers who have book deals in place prior to writing their books don't have to deal with this uncertainty. So it's not just a matter, as Louise puts it in her video, of many people vying for the attention of publishers with just an idea for a book--it's a matter of having that idea, writing a manuscript tens of thousands of words long, revising the manuscript until it's the best it can possibly be, submitting it to agents, and then vying for the attention of publishers with a complete and polished manuscript in hand. Bypassing this process is truly, in my opinion, the biggest advantage that YouTubers have--and since they have no experience of the traditional path of publication, they might not even be aware that they have it.